UPDATE: this party has been cancelled due to the weather. Details here. The Chief is coming to town and that is always worth celebrating! Eric Church will be performing two shows in Minneapolis on Friday, February 8th and Saturday, the 9th. It's all part of his Double Down Tour. As if this wasn't awesome enough, now he's throwing a party in between shows! The Target Center has announced the 'Eric Church Double Down Block Party' on Saturday to celebrate his shows there. The block party is completely free and open to the public. It takes place in front of the venue on 1st Avenue North between 6th Street and 7th Street. The party kicks off at 3 p.m. and continues until 8 p.m. Doors for the show open at 6:30 p.m. The party will be loads of fun with a DJ, games and giveaways. According to the Target Center's website, there will also be Eric merchandise, food trucks and snacks. Those that are 21 years and older can also sip on beer, wine and cocktails from an outdoor bar. In true Eric Church fashion, there will also be a "specialty Jack Daniels cocktail created for the show." The cool thing about this drink is that a portion of the proceeds will benefit his charity project, Chief Cares Fund. You can still get tickets to the shows here. In the meantime, you can get the party started even earlier by listening to the 5 best songs by the king of country music. 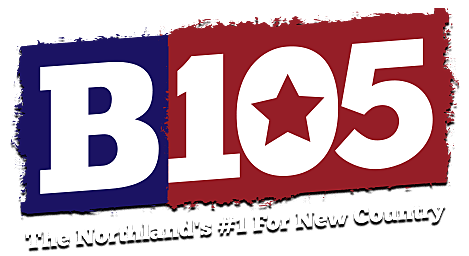 2019 B105, Townsquare Media, Inc. All rights reserved.